Nugget-style. Air-cooled. Self-contained condenser. 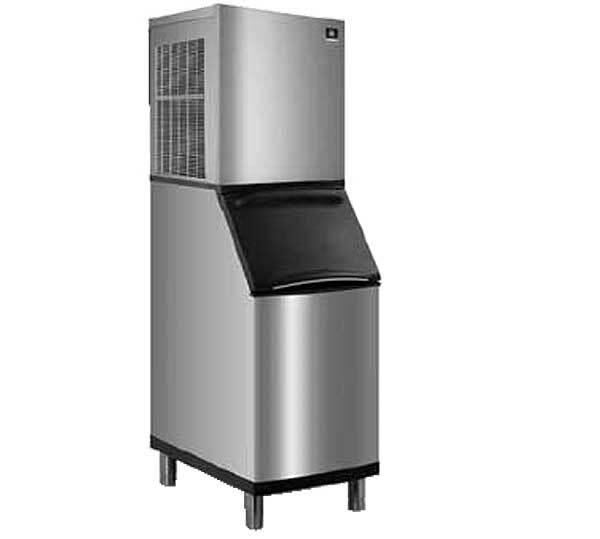 22"W x 23-5/8"D x 26"H. Production capacity up to 308 lb/24 hours at 70°/50° (236 lb AHRI certified at 90°/70°). Stainless steel finish. 1/2 HP. R-404A. ETL-Sanitation. CETLus. Dimensions (Inches): Width 22. Height: 26. Depth: 26.63.